I started a game project with a friend well over a year ago, and never finished it. Picked it up again a few months ago, finished it, and put it on the Google Play Store, check it out here! It’s a game about jumping over spikes and collecting gems. 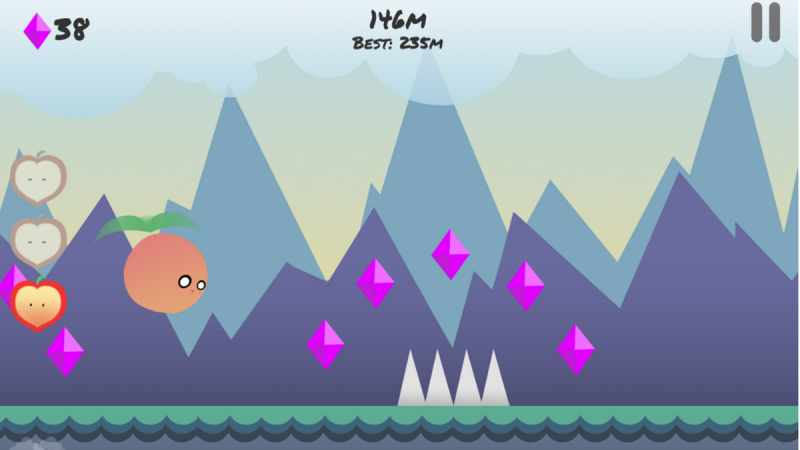 The gems can be used to buy more health, and more jumps, so that you can jump mid-air and avoid long stretches of spikes. Think: The Chrome dinosaur game. It’s a very simple game, but I wanted to have something I could call finished and publish somewhere. There are no micro-transactions, or any transactions of any kind. You can probably unlock all the upgrades in under half an hour.